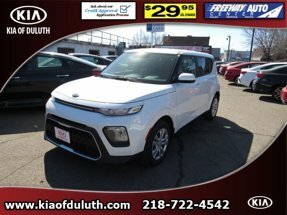 Description With such great unique features like a anti-lock brakes, dual airbags, side air bag system, and airbag deactivation, you'll be excited to take this 2018 Kia Soul + AUTO for a ride. We've got it for $21,720. This wagon is one of the safest you could buy. It earned a crash test rating of 5 out of 5 stars. For a good-looking vehicle from the inside out, this car features a beautiful red/black roof exterior along with a black interior. This is the vehicle for you! Give us a call today and don't let it slip away!